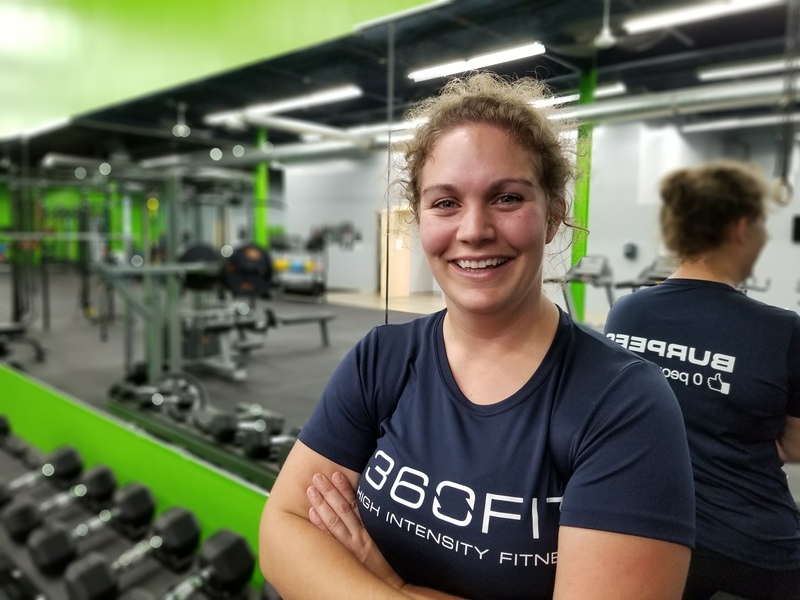 Located in Dartmouth, HRM, Nova Scotia, 360fit is not your average gym. We want you to come in, and we want you to reach your fitness goals! At 360fit we’re all about you! Here are our excellent Personal Fitness Trainers. 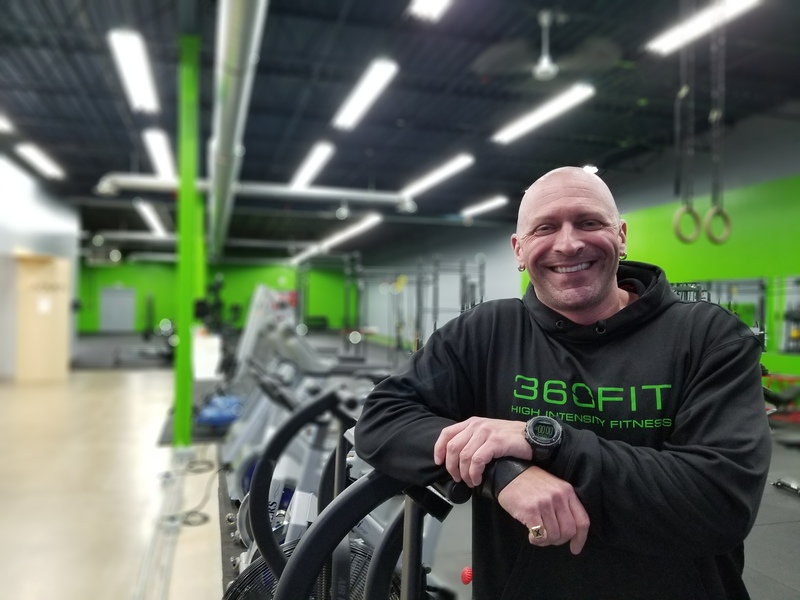 360fit owner Devin Sherrington is an award winning Master Trainer and has been involved in health and fitness his entire life. Devin has been a trainer for over 20 years and has helped thousands of clients reach their fitness goals. Devin’s passion for exercise and fitness started with basketball, football, and track in high school. He played football at Saint Francis Xavier University and became a personal trainer there while earning two degrees. Devin is a sought after health and wellness speaker and presenter. 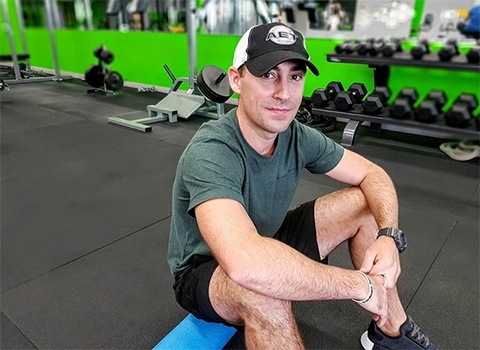 He has worked as a media fitness expert for numerous programs including CBC Radio Noon, CBC Radio Main Street, CBC TV Living Halifax, APTN’s The Candy Show, and was the fitness columnist for The Daily News for three years. He has worked as a trainer for The Blue Nose Marathon Team Myles 2012 -2015, Football University, Team Nova Scotia Canada Games Swim, Atlantic Tennis Elite Under 14 Team, Scotia Soccer, Fall River Minor Football and the Lockview Dragons Football team. He has an extensive background in sport dry land training and has worked with pro and semi-pro athletes at all levels. Devin has trained for some Hollywood celebrities including Eric Dane, Kate Beckinsale, Sam Rockwell, Ron Pealman, Flex Alexander and Rossif Sutherland. Growing up playing competitive sports I always knew when my playing days were over I wanted to stay involved in athletics and make my passion into a career. After graduating from Dalhousie University, I worked for three years as the Director of Athletics and Head Office instructor at a private school in Nova Scotia, then began working with clients and athletes full time. I have been a Strength & Conditioning Coach for the past ten years and currently work with athletes and teams in minor hockey, major bantam, major midget, Jr. A, and the QMJHL. Working with young athletes to achieve their goals is an extremely rewarding profession. I take pride in providing programs to my athletes using science-based performance training to allow them to reach their full potential. I like to use those same training principals with general population clients to improve balance, strength flexibility, and overall health. I’m looking forward to helping make 360fit the premier training facility in HRM. This journey of mine started the first time I stepped on to a soccer field when I was 10. I immediately fell in love with soccer and physical activity as a whole. I tried as many sports as I could, excelling with soccer and swimming. These sports carried me through high school, where I began coaching soccer during the summer months and into University at Acadia where I chose to move forward with soccer alone. My time at Acadia made me realize how much passion I have for people and physical activity. I was lucky enough to coach with many soccer teams in the Valley and throughout the South Shore. After I had my Kinesiology degree in hand and my coaching credentials, I ventured home to Yarmouth, Nova Scotia to help with Coach and Player development with my local club. After 2 years there, I had an out of the blue opportunity to teach English as a second language in Korea. I hopped on a plane, and returned 2 years later having experienced and enjoyed more of this beautiful world. After returning to Nova Scotia, I made my way to Halifax and officially began my career as a personal trainer. After 2 years of training, I finally found my place in the industry, here at 360fit – WOW! This is a place where I can be completely myself, work with clients one-on-one, and truly help people in more ways than one. This is why it is PERSONAL training – you get to know the people you work with. It is my favorite part. My personality is a perfect match for 360fit, along with my passion for fitness. I have learned more about myself and my clients working in this field than I ever could have imagined. I only hope to keep helping others along their journey, and learning more about myself and this wonderful world of physical activity I choose to call home. I have had an interest in Health and Fitness for as long as I can remember. It started young with Softball and X-Country running in Elementary and evolved into Weightliftingt Badminton, Volleyball and Hockey in High School This lead me to Acadia where I studied Kinesiology in the hopes of finding a way to help others find the same love and passion for health and fitness as I have found. 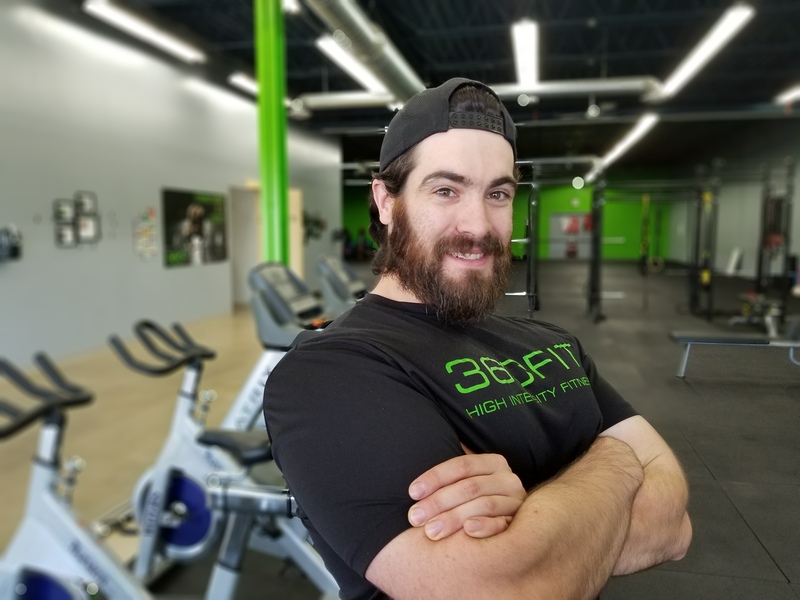 Began teaching fitness classes and taking on clients while at Acadia and chose to continue to pursue that avenue in my studies and after graduation. Recently I have taken an interest in bodybuilding/fitness modeling and powerlifting and I hope to use those platforms to reach and aid more people. Whether you goal is to improve you athletic skills, build new muscle or bum off some body fat, let me guide your joumey to success through my proven systems and exciting training styles, I am always open for questions and I look forward to helping you reach your goals. I have always been an active person so gaining this much weight was very difficult for me. So I started looking for ways to lose it. This involved going to the gym, watching my diet, getting involved in competitive paddling, etc. In 2010, my mother and I did a cardio dance class which brought me back to my years of ballroom & Latin dancing. This class transitioned into a Zumba class where the instructor approached me to suggest that I become an instructor. So I did!! 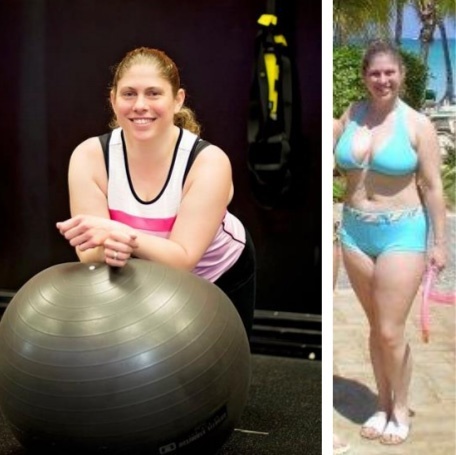 I have lost approximately 45lbs & love showing participants that they can lose weight and have fun doing it. Believe it or not…this is me. I was pregnant with my 3rd child and about 200+lbs. After having my daughter, my weight changed a little but unfortunately, not by much.